As Stephen Harper was pouring vitriol and sanctions on Russia for months over the Crimea and Ukraine crisis, he did not seem to have expected much of a serious slap-back from President Vladimir Putin. But as Brian Stewart writes, Harper badly underestimated Putin’s sense of the strategic counter-punch. 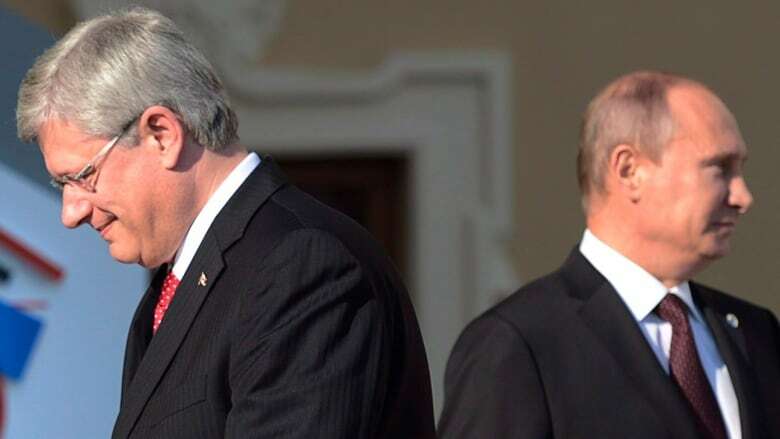 As Prime Minister Stephen Harper was pouring vitriol and sanctions on Russia for months over the Crimea and Ukraine crisis, he did not seem to have expected much of a serious slap-back from President Vladimir Putin. While Ottawa joined other allies to punish Russia, using sanctions, criticism and even a modest arms buildup in eastern Europe, Harper’s team always appeared the most determined to “tweak the Bear." Even sensitive relations carefully built up between Canadian and Russian militaries since the end of the cold war were put back on ice, including crucial ones needed to avoid friction in the Arctic, where both nations have major interests. That seemed to badly underestimate Putin’s sense of the strategic counter-punch. Just as many feared, Canadian F-18s are yet again being sent screaming towards our northern airspace to see off large Russian Tu-95 heavy bombers testing our borders. We don’t know precise numbers – much secrecy is retained to avoid alerting Moscow to all we know – but there have been at least two interceptions this month and Russian patrols near North American borders have clearly increased this year. The word in official circles is that this is “strategic messaging from Moscow” in retaliation for our constant criticism, as well as Canada’s actions to bolster Ukraine, which has just signed an historic trade pact with the European Union that Putin has fought against. The fly-overs have certainly shaken complacency in Ottawa. Defence minister Rob Nicholson told Parliament recently the flights show “the need for ongoing vigilance” as Russian military activity continues in the Arctic. What’s surprising is our surprise. Ottawa did not seem to anticipate such retaliation, even though Russian air probes are an easy and cost-effective way for Putin to harass our defences as payback for our anti-Putin stand in Europe. This is not to criticize the Harper government’s strong stand over Crimea and Ukraine, which has much to recommend it, but rather to suggest we tend to underestimate the full cost a wily opponent will seek to make us pay. The Russians have wasted no time rubbing it in. Aubrey Grebenshikov, second secretary of the Russian Embassy in Ottawa, says that Canadian and Russian militaries used to be able to work out such “misunderstandings” like those over Arctic intentions and sovereignty but, unfortunately, Canada on its own eliminated these important links. “Regretfully, due to the crisis in Ukraine,” he told the Globe and Mail, "the Canadian government has recently frozen all contacts at this level." We’d better brace for more. In testimony before Parliament, strategic analyst George Petrolekas, a retired Canadian colonel and former advisor to the chiefs of defence staff, warned that broken relations with Russia will surely encourage more Putin probes. "Will he test us? 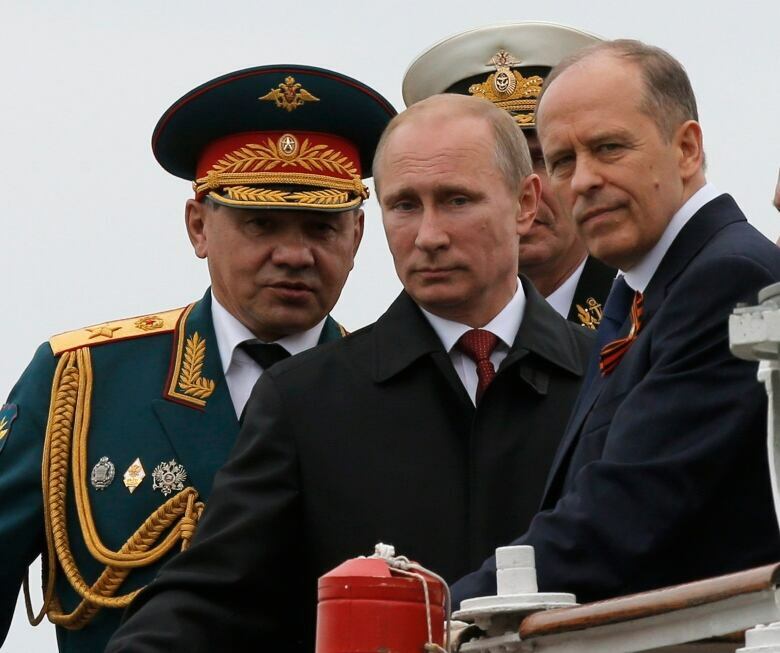 Yes… It’s just another area where he can test reaction, he can test resolve," Petrolekas told the committee. Putin even seems determined to test spots along the vast North American Air Defense Identification Zone (ADIZ), which stretches out 200 miles, or 321 kilometres, beyond Canadian and U.S. continental borders. U.S. jets intercepted Russian long-range bombers off Alaska and California this month, just the latest in an increasing number of confrontations off the Pacific coast. What startled Washington was the brazenness of the flights and their growing numbers since the Ukraine crisis broke. The latest Alaskan challenge involved four bombers plus two aerial refueling tankers. Two of the bombers later flew west to within 130 kilometres of northern California. Such close-in probes by the Tu-95 bombers, capable of carrying nuclear bombs and cruise missiles, are not strictly illegal, but North American Aerospace Defense Command (NORAD) always scrambles fighters unless foreign pilots file detailed flight plans and maintain radio and radar transponder contact. With the passing of the Cold War, the probes disappeared for many years. 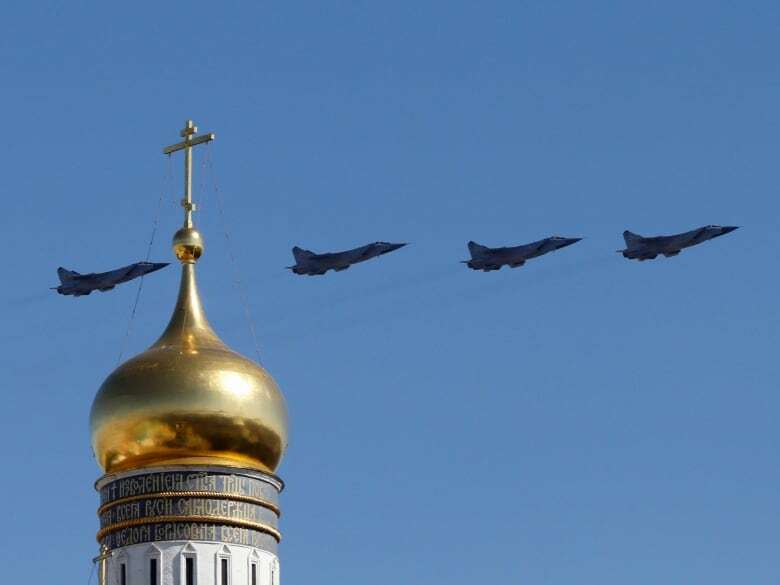 But now under Putin and what appears to be the beginning of a Chill War, their reemergence means a lot of extra headaches and workload for U.S. and Canadian pilots. It could easily turn into a very severe strain for Canada’s modest fighter fleet of 77 F-18s, which has to cover extraordinary distances to provide full protection when Russians come snooping. It’s an expensive and draining effort. A sustained campaign of Russian harassment, if it comes to that, will compel our air force to fully employ the four Forward Operation Location (FOL) sites set up as interception mini-bases in Yellowknife, Iqaluit, Inuvik and Rankin Inlet. They’re built to accommodate up to six fighters each and 200 support personnel. What is worrisome for those trying to predict Russian behaviour is that problems may not end with flights. Russia has been significantly increasing both civilian and military resources within its Arctic region, from nuclear icebreakers to 80 naval ships, and is now adding mobile missiles. According to Jane's Defence Weekly, the Russians are testing short-range Pantsir-S1 missiles in the far north for use against aircraft, helicopters, cruise missiles, even drones. It’s the latest part of military Arctic expansion as Russia "looks to secure economic rights as melting sea ice opens trade routes and potential oil reserves." Given that Canada and the U.S. are also expanding military resources in the Arctic, the latest tension underscores the growing number of potential flashpoints at sea and in the air. Canada deserves credit for several of its principled stands against Putin. It’s not clear, however, that we carefully thought through how to respond to the strategic costs and consequences of shoving our bilateral military and civilian relations with Russia into a deep freeze. 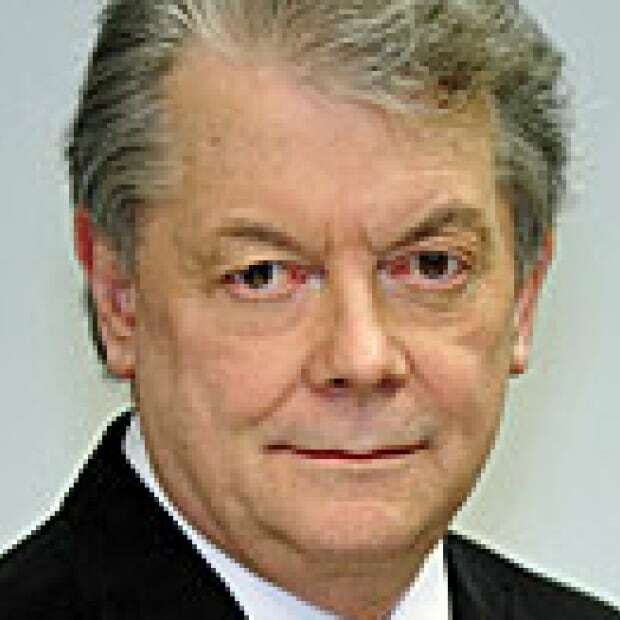 One of this country's most experienced journalists and foreign correspondents, Brian Stewart is currently a Distinguished Senior Fellow at the Munk School for Global Affairs at the University of Toronto. He also sits on the advisory board of Human Rights Watch Canada. In almost four decades of reporting, he has covered many of the world's conflicts and reported from 10 war zones, from El Salvador to Beirut and Afghanistan.